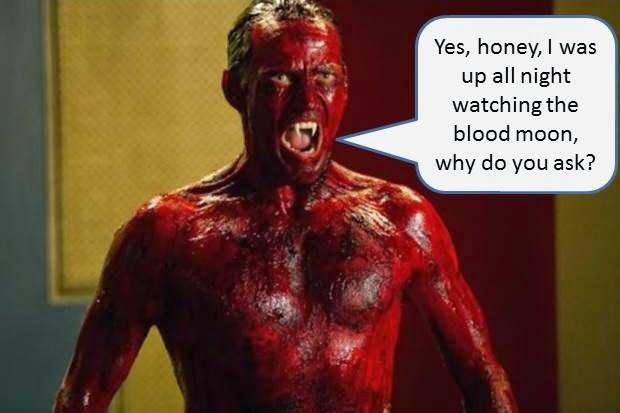 VE's Fantastical Nonsense: I'm sure all the Vampires are Happy about our "Blood Moon"
I'm sure all the Vampires are Happy about our "Blood Moon"
Apparently we have a "blood moon" right now. Other than mammals, I don't associate "blood" with anything else. I don't have blood cell phones, my lawn doesn't have blood grass, I don't hike in the forest among blood trees. So what is up with blood oranges? And now blood moons? Perhaps the current Ebola crisis has spread further than we realized? When I was a kid we had full moons, no moons and every iteration in between. But all of a sudden, this generation feels the need to dramatize every simple nuance of things. Now we have "super" moons and "blood" moons. Still, that orangy-red color of the moon at moon rise and moon set are pretty spectacular to look at. I'm sure there will be several million digital pictures taken and left sitting in some computer folder or cloud-based photo storage for all eternity (or until you forget to back up your hard drive and it goes out and you reassess your life as a result and abandon all technology going forward and live as a monk in inner China...but that might be a minority of people). 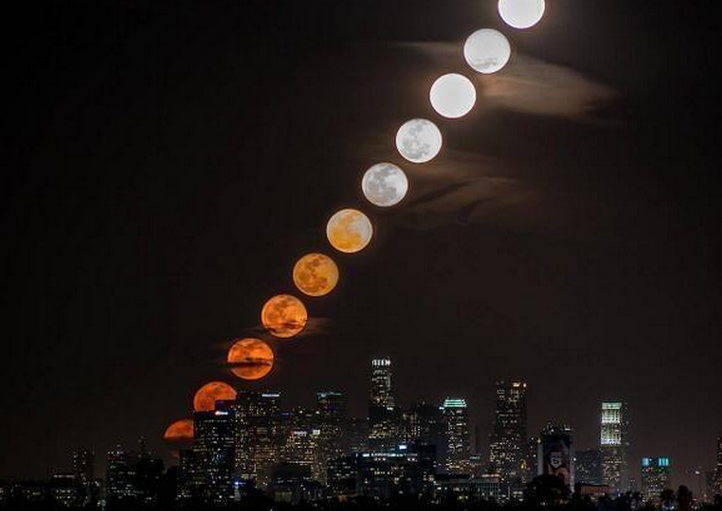 Come on, do you need more proof that this blood moon is attacking our cities? 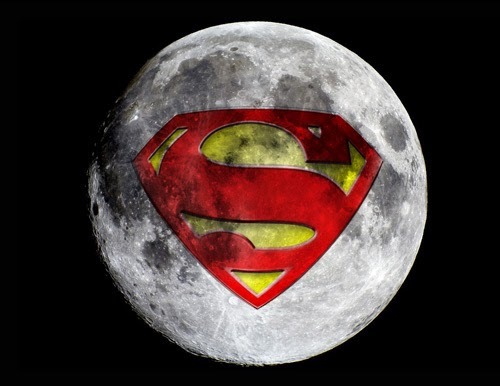 Some people tend to get a bit wacky during full moons...what are they like during super moons? And how about blood moons? Do we see more zombies during this time? Do vampires rest easy during a blood moon because they feel satiated? Do werewolves get worse during a super moon or a blood moon? - Black Hole nights where it's extra-ordinarily dark, not just dark. What if it is so dark we cannot see the stars? Then we could start selling special flashlights and headlights to handle such a phenomenon. - Self-aware plants. Sort of like Treebeard in Lord of the Rings, the plants suddenly are not happy with their situation and start rebelling against us. Right out of a B-rate 1950s movie!